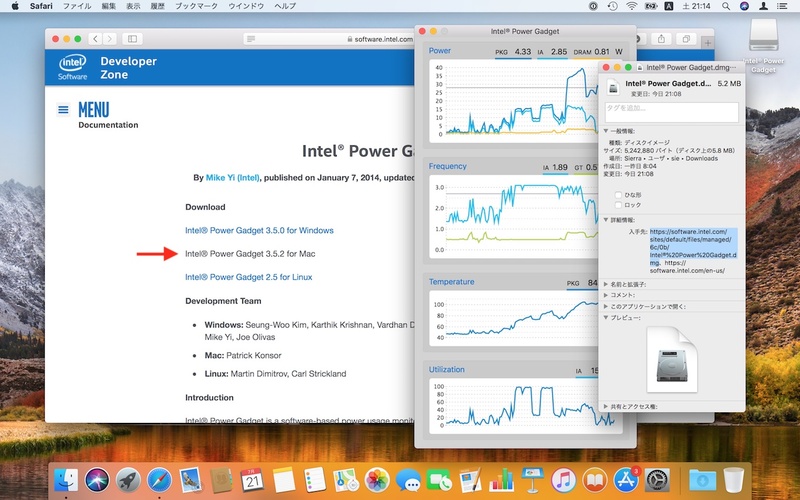 Intel、MacBook Pro (2018)のスロットリング確認に常用されている「Intel Power Gadget for Mac」のダウンロードリンクを削除。 | AAPL Ch. The download link for the Intel Power Gadget, which reports info like Mac CPU temperature and current clock speed, has been conspicuously removed from the Intel website today. There’s no explanation on the page as to why the company suddenly removed the download, although it sure is convenient timing.